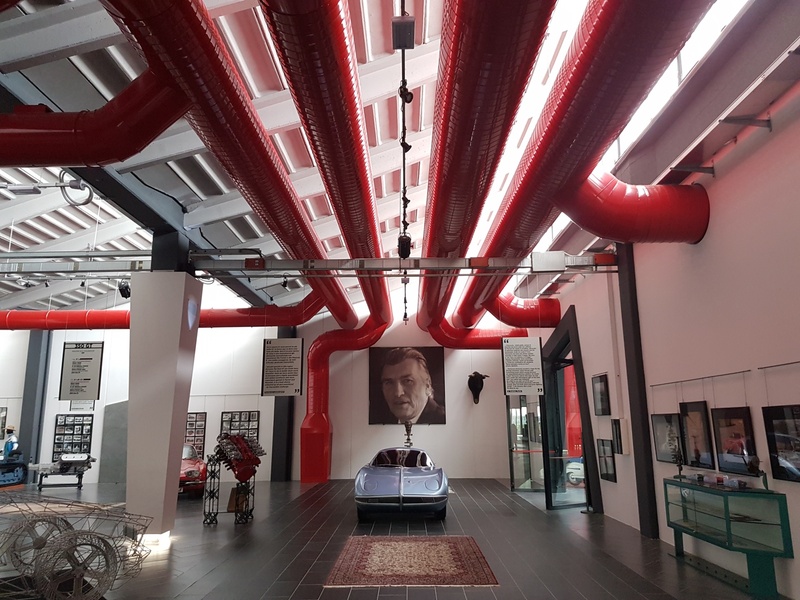 The Museum was conceived and founded by the entrepreneur Tonino Lamborghini to celebrate the genius of his father Ferruccio in the mechanics, engineering, and industrial design sectors. Inaugurated in 2014, the Museum houses all of the industrial production of the engineer honoris causa Ferruccio Lamborghini: from the first Carioca tractor with which he started his industrial group in 1947, moving on to the first track laying tractors, to the 70’s models; from the 350GTV prototype to the 400GT; from the Ferruccio’s own epic MiuraSV to the futuristic Countach; from the Jarama models to the Jalpa prototypes; from the Urraco to the Espada with seagull wing doors that inspired the car of the movie Back to the Future; the 11-time world champion Fast 45 Diablo Class 1 offshore boat 13,5 meters long with Lamborghini engines; an amazing working Lamborghini helicopter with dual controls; Lamborghini burners, heaters, and cooling systems; the famous “Barchetta” built by Ferruccio to compete in the Mille Miglia of 1948; the reconstruction of the first personal office of Ferruccio in Lamborghini Tractors with his personal effects; a space dedicated to other cars and motorcycles of the period during which Ferruccio was creating, but also belonging to the Lamborghini family or to the thousands of people who revolved around him. A few kilometers from downtown Bologna and in the center of the Motor Valley, the Museum is a space dedicated to the value of memory yet at the same time, forward looking toward innovation and challenge: a journey inside the legend who represents the excellence of Made in Italy.